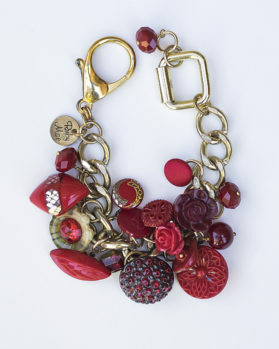 Ruby Mae chains, charms and beads range from large to small, smooth to textured. 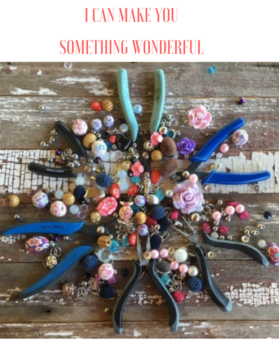 Its fun to create one of a kind items with adjustable sizing & whimsical flair. Some girls LOVE purple. These gals usually LOVE pink too. 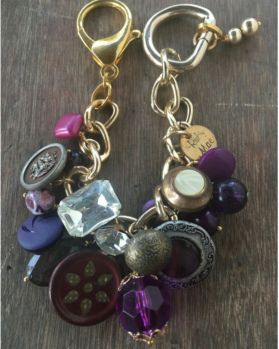 I’ve been told that purple paired with gold is a hard combo to find. But not at Ruby Mae Jewelry. 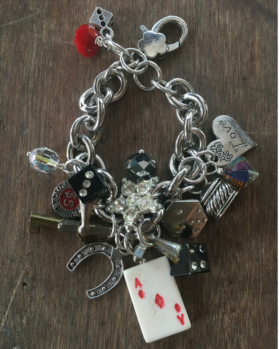 Look no further, you’ve found the perfect bracelet. 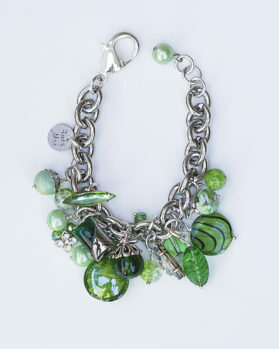 Light weight & fun to wear. 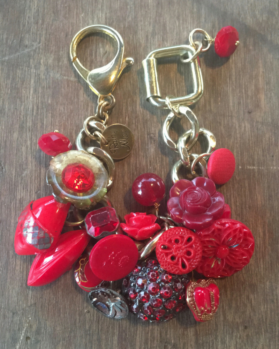 If you LOVE wearing red accessories, this is a charming piece to add to your collection. The vintage glass buttons are cool to the touch. 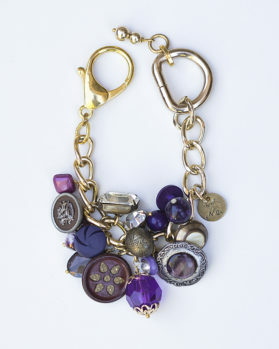 Paired with interesting shapes and textures, this piece is sure to please. Can you spot the glass button and the oh so cool vintage cuff link? 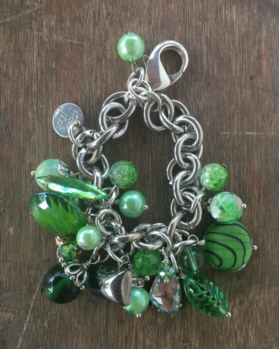 Green is one of my most popular themed bracelets and once you wear it you’ll see why. Winner, winner, we’ve got a winner. 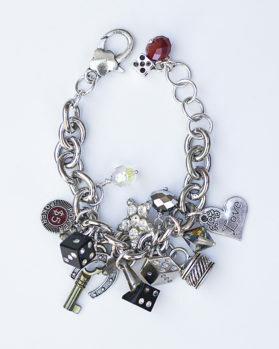 This trinket & charm button bracelet woud be so fun to wear on a weekend away to Las Vegas or Atlantic City. How about to the local Texas Hold’em Tournament?